I recently saw an appetizer tray and had to re-create what I thought this little gem was! These are super simple! So quick and easy! It was made easier by the very friendly lady at the Wegmans deli counter! She understood what I was making and how thinly sliced I needed the meat and cheese to be. She also suggested I leave the cheese out before rolling it, just a few minutes though. These gems will be on my holiday trays! Try them, you will NOT be disappointed! ENJOY! Asparagus, cut the tips off and boil them for 2 minutes (NO longer) immediately remove them from the pan and run cold water over them. Lay them on a paper towel and allow to dry while assembling the other ingredients. I used the rest of the asparagus boiled the same way for a salad topping. 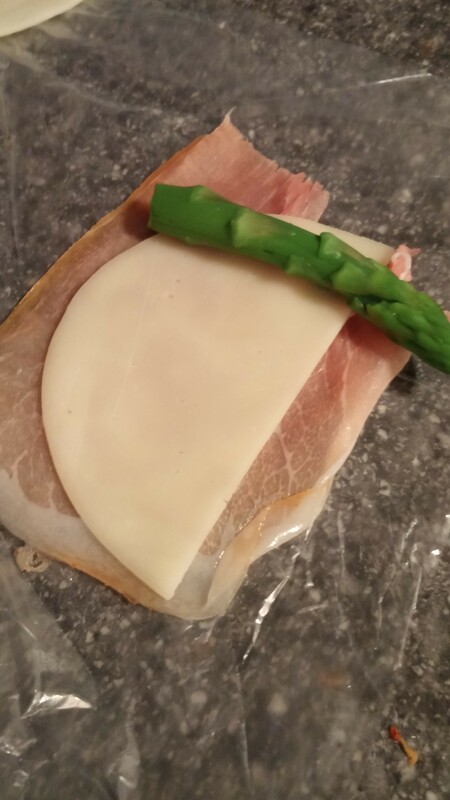 Provolone cheese, lay each slice out and cut in half. 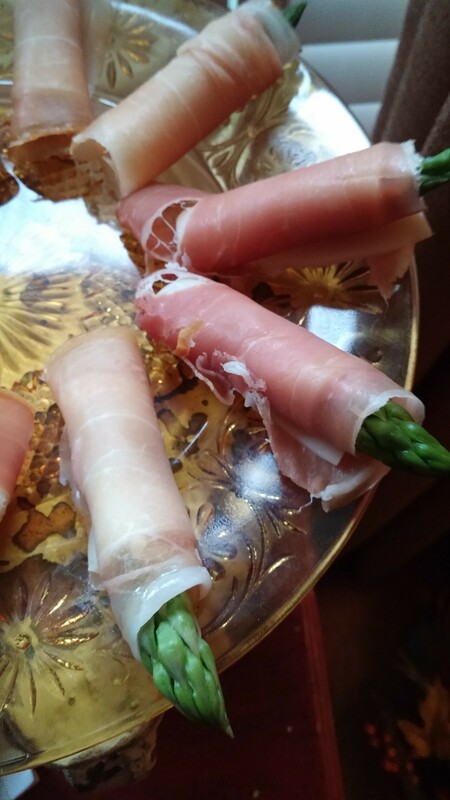 Prosciutto slices, lay them out and cut in half. 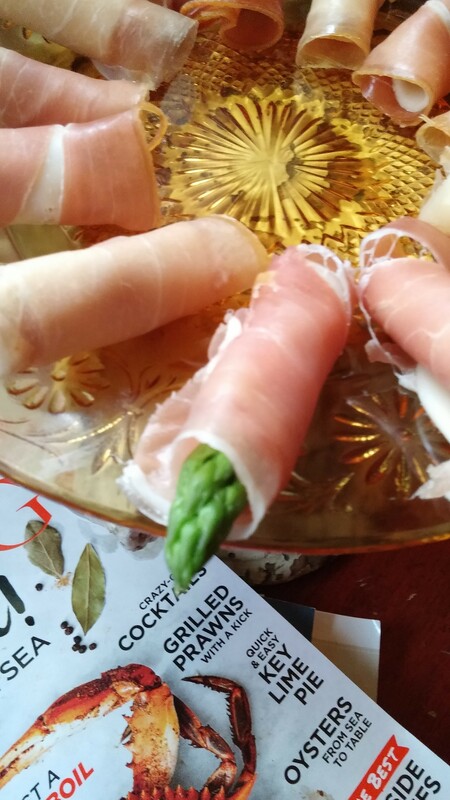 Then simply place the asparagus tip slightly above the cheese and meat and roll up. Lay on a plate or tray and keep in the frig until ready to serve! Delicious!